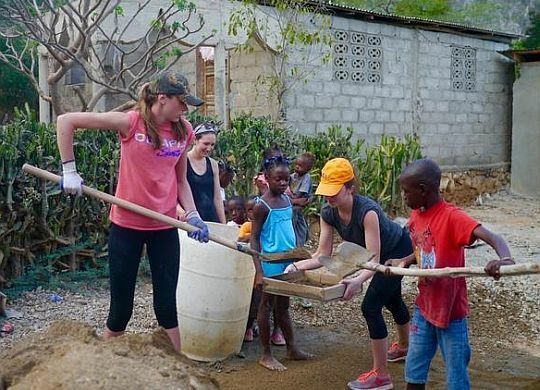 Four freshman students from Dennis-Yarmouth Regional High School in Massachusetts joined two of their language teachers on a Fuller Center Global Builders trip to Pignon, Haiti, last month. They say they came away with a different perspective of the country than most Americans possess. While there, the students had many new experiences — from building a home and trying new foods and from washing clothes by hand to catching rides on motorcycles. The students discussed their trip with The Dennis Register in an in-depth article you can read here.